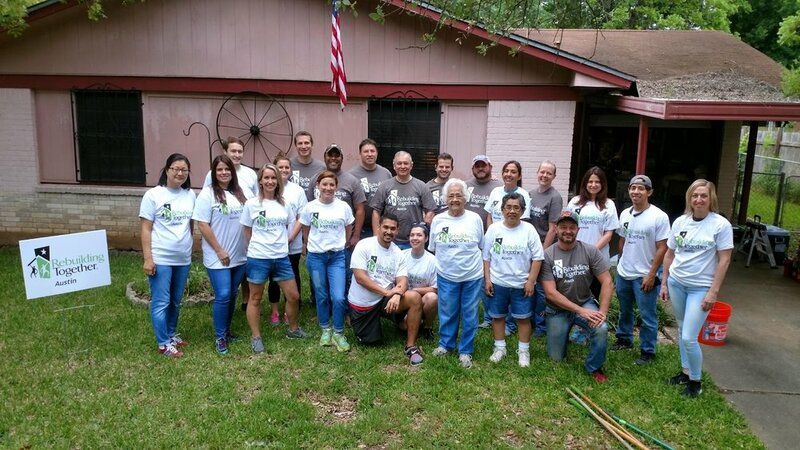 The work of Rebuilding Together Austin would not be possible without the sponsors and volunteers who donate their resources, time, and skills to help homeowners in need. Participating in a Rebuilding Together Austin workday is a memorable team-building experience that makes a tangible difference in the lives of our neighbors in need. Rebuilding Together Austin serves low-income homeowners who are elderly, living with a disability, families with children, or veterans. We also serve nonprofit organizations or public institutions, like schools, in need of facility repairs. Because our projects require materials and, at times, outside help from contractors and professionals, there is a sponsorship fee to participate. Follow the steps below to schedule your workday. Step 1: Call our office at 512-993-8230 to let us know you're interested in scheduling a workday. Step 2: Sponsor a house or find a sponsor for your workday. Typically, the organizations participating in the volunteer workdays provide this sponsorship, but we can sometimes pair organizations with an outside sponsor. Step 3: Schedule your volunteer workday. After determining your desired sponsorship level, you'll be able to schedule a team-building workday on a homeowner's project that matches your team's resources and capabilities. Step 4: Gather your team and come make a difference. We'll provide the tools, one meal, water, safety oversight, and the instruction your team needs to complete the home's repairs. We can group you with other individuals or organizations. To see upcoming jobs and sign up for a workday, visit our Volunteer Center. The scope of work on each home varies depending on the need of the home and the skill set of the volunteers. We focus on critical health and safety repairs. This can include minor plumbing, electrical, carpentry, weatherization, yard work, painting, and general clean-up. We have volunteer opportunities for large or small groups as well as individuals, depending on your skills and time commitment. Volunteers must be at least 14 years old or minors may be accompanied by an adult. Please view our Volunteer FAQs to learn more about what to wear, bring, and expect. Nothing can replace the feeling of knowing you’ve made a long-term, positive impact on a neighbor’s life through volunteering. For groups or companies, volunteering with RTA can be a great opportunity to hone collaboration skills and encourage team-building. You’ll also likely walk away with newfound basic construction and repair skills. 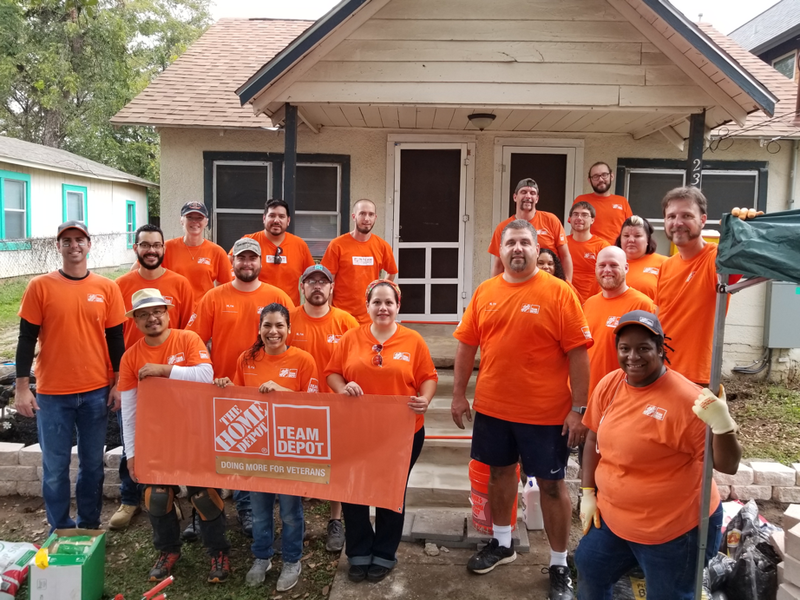 Rebuilding Together Austin relies on charitable donations and sponsorships from local organizations in order to purchase the supplies needed for renovations. Please visit our Donate page to learn how you can provide financial support and view our wish list.